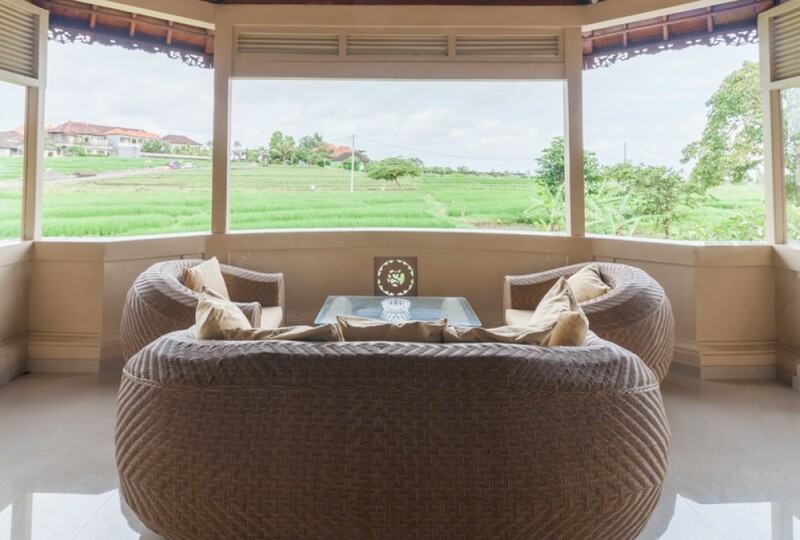 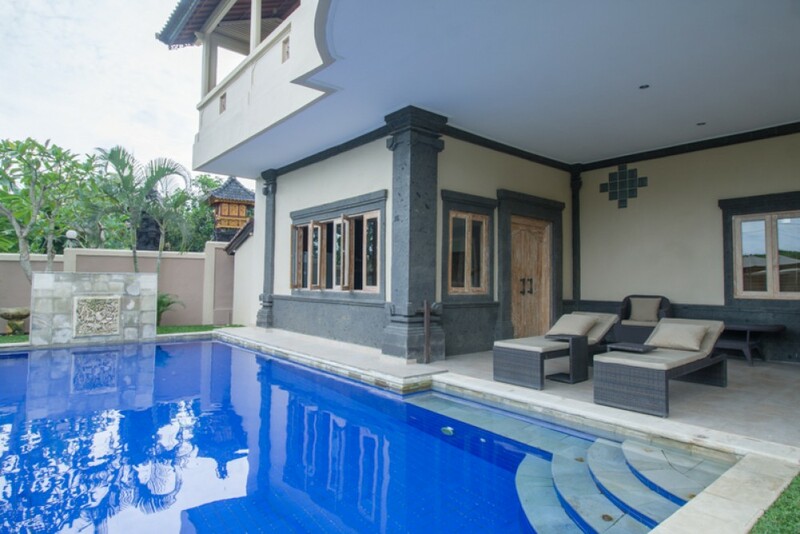 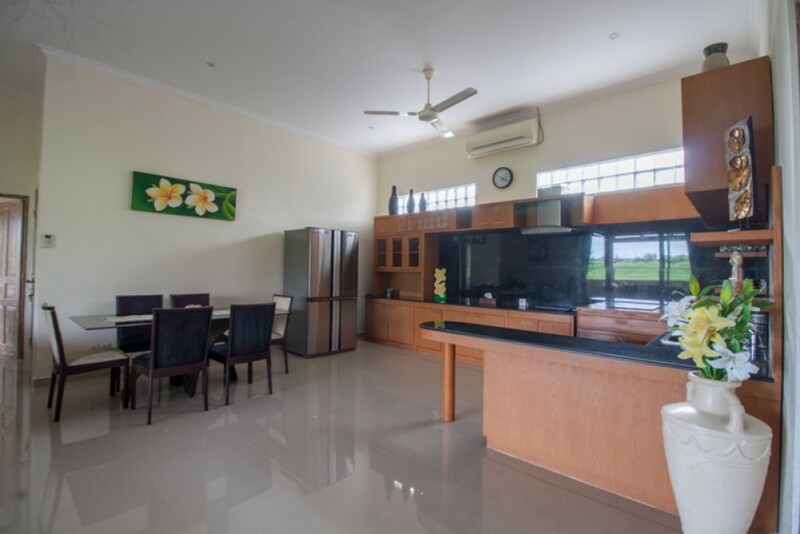 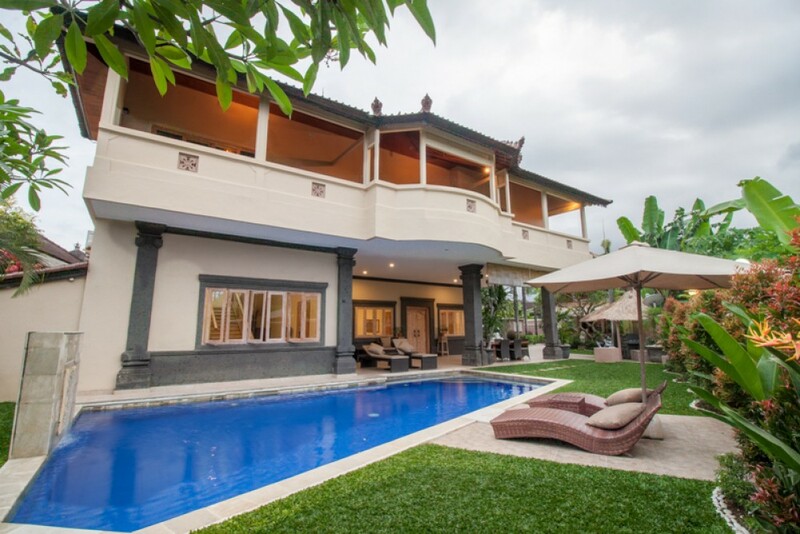 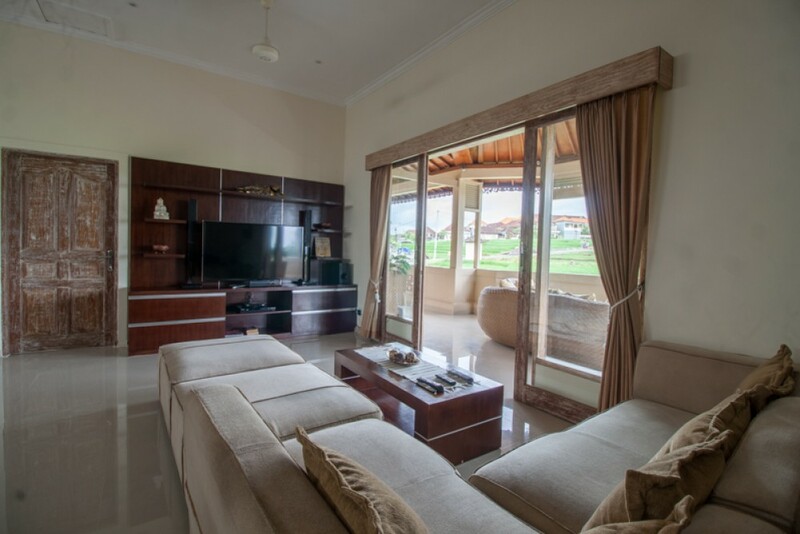 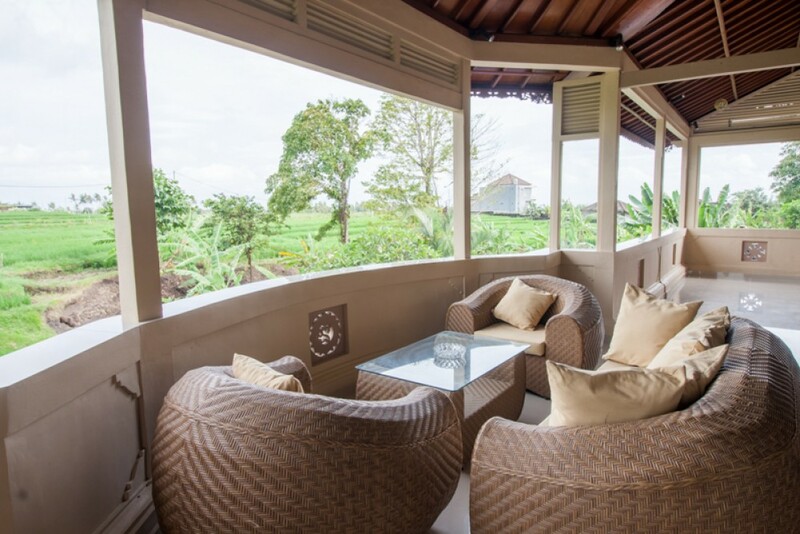 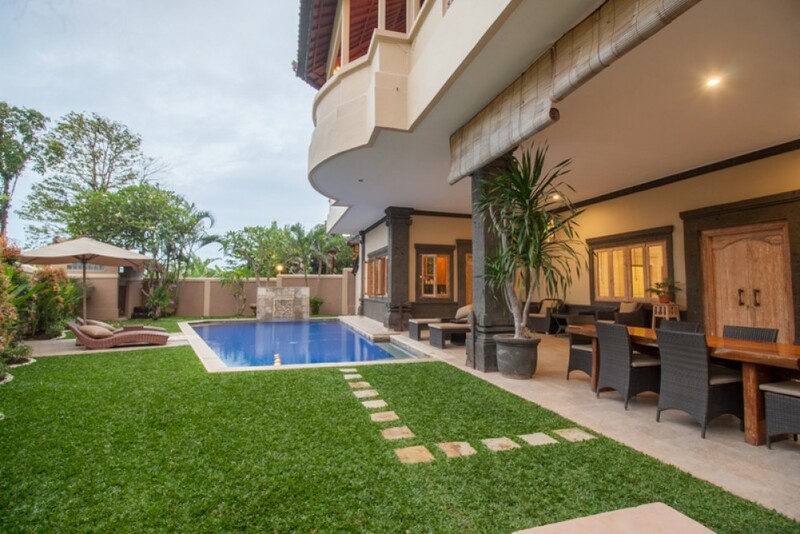 This amazing 5 bedroom villa in located in the beautiful area of Canggu/Cemagi. 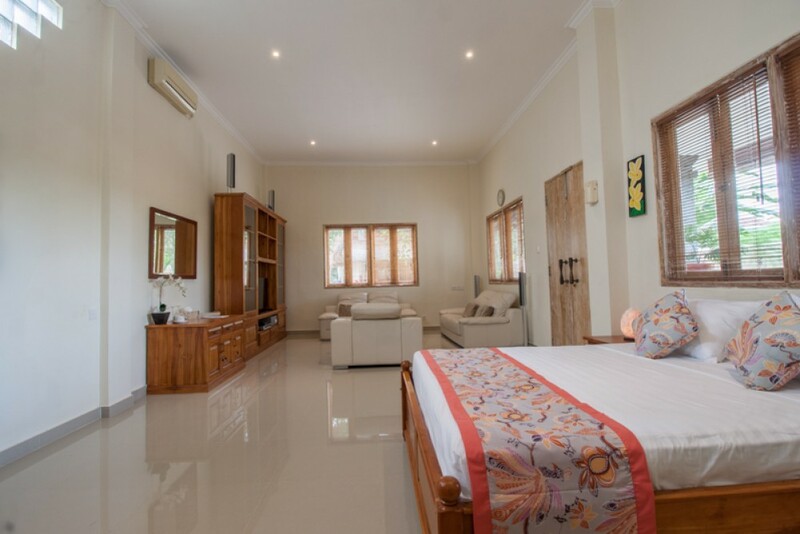 This huge property is quiet unique as it offers three fully separate living areas, Upstairs is a full 3 bedroom, 3 en-suite villa with lounge, dinning and kitchen and two balcony's. 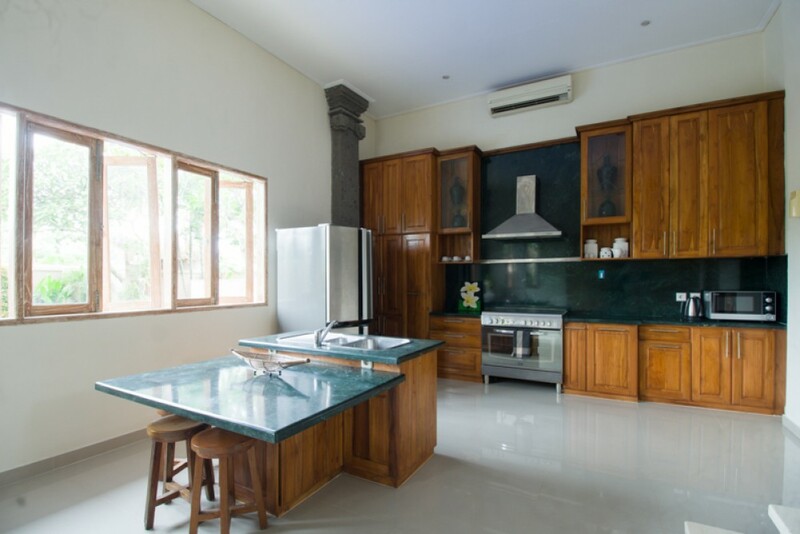 Downstairs, is a huge Kitchen, Laundry and King sized master suite with lounger room and large outdoor under roof terrace. 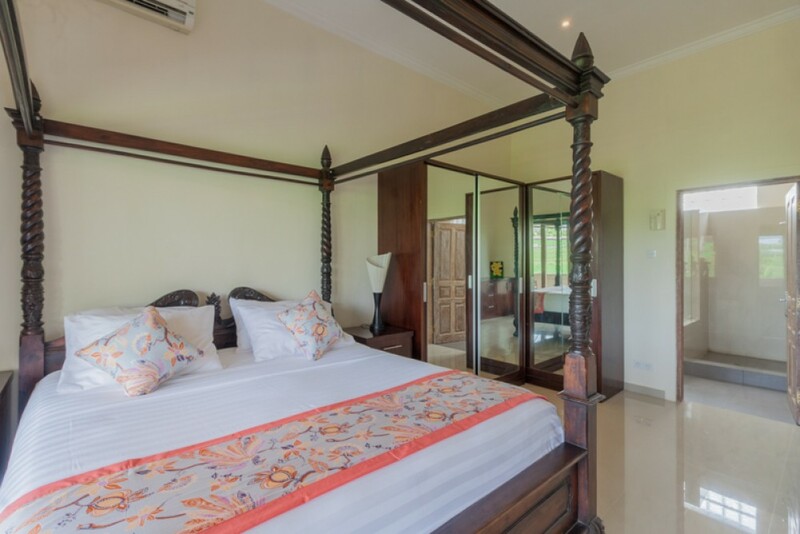 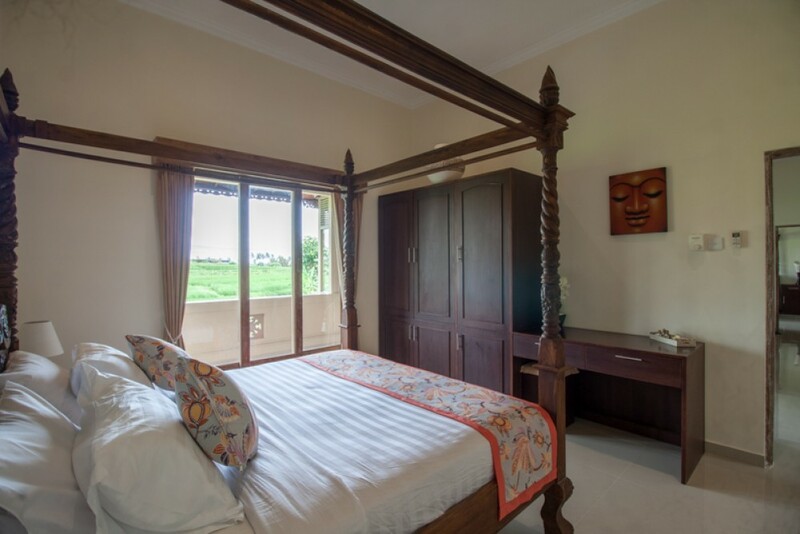 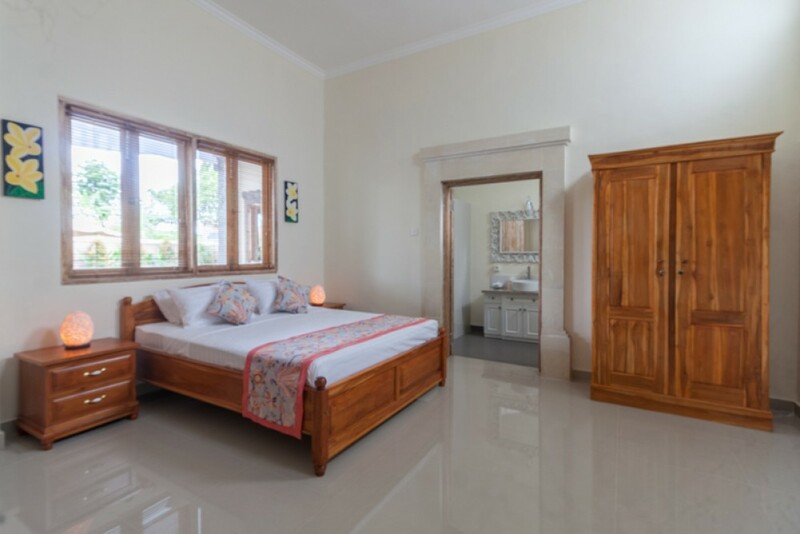 The Lumbung offers another huge king sized mater bedroom, with lounge and bathroom. 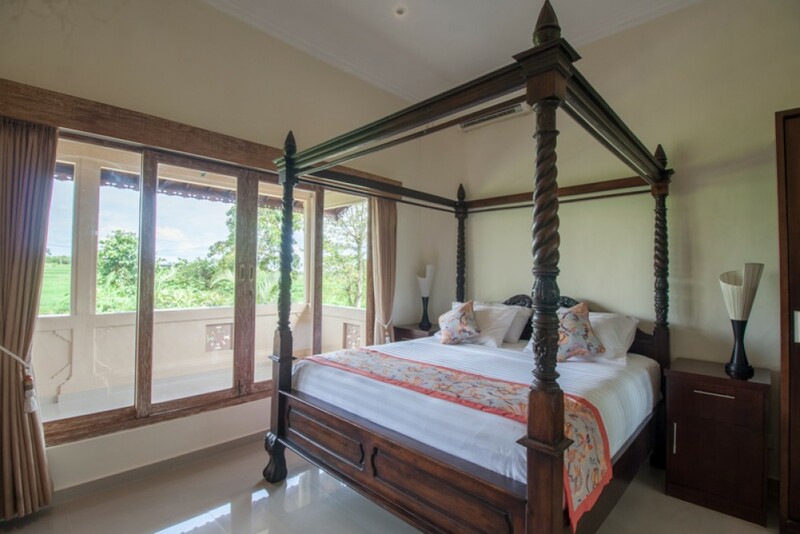 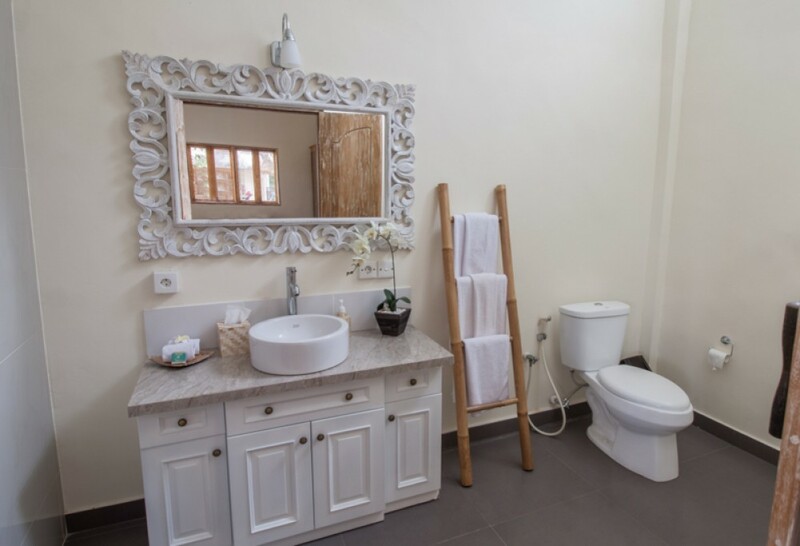 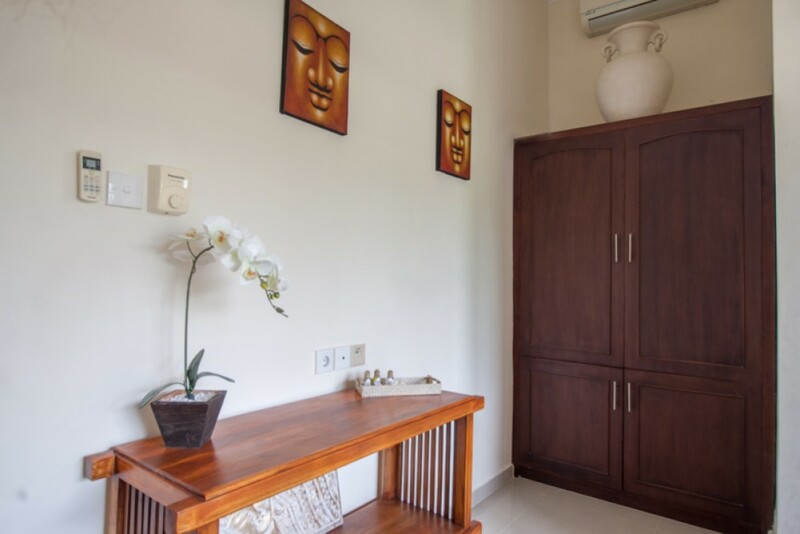 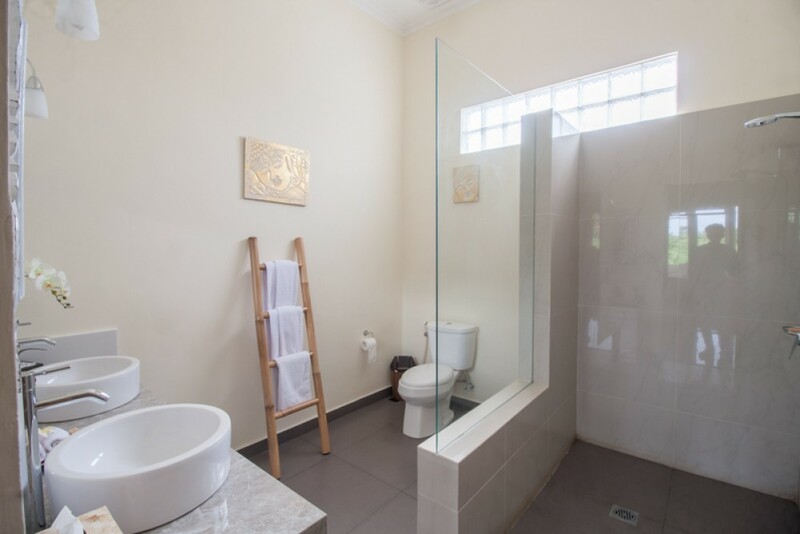 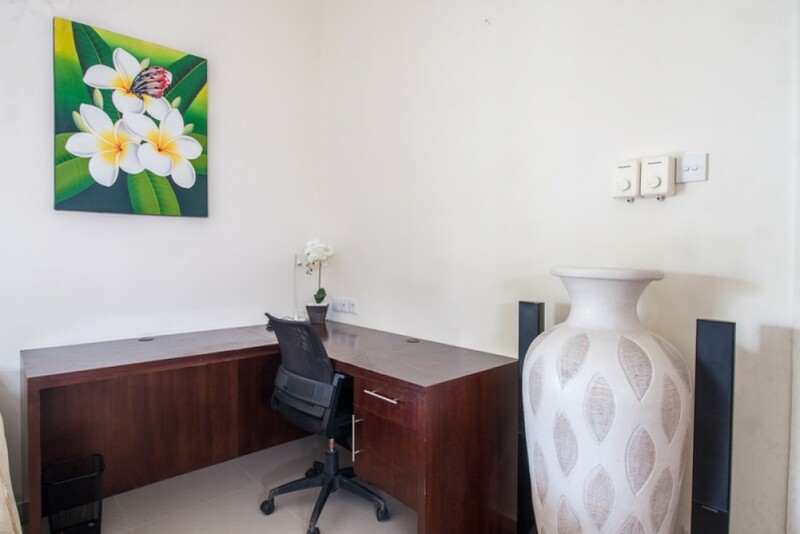 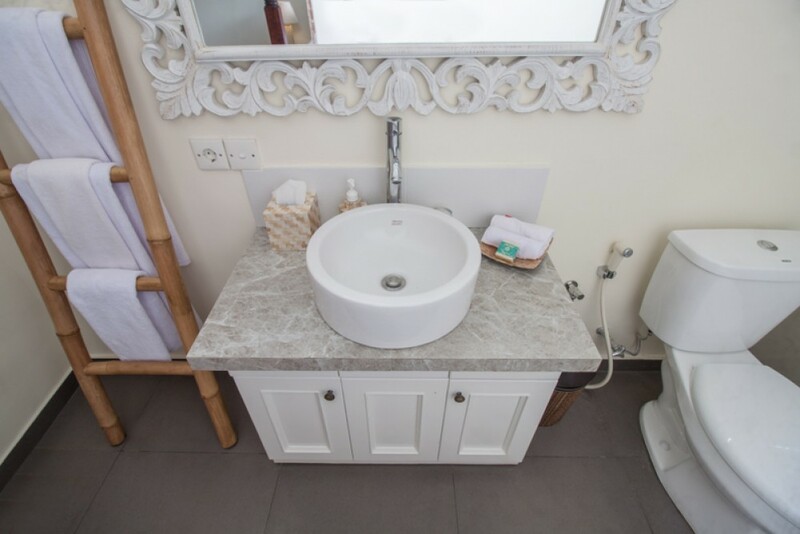 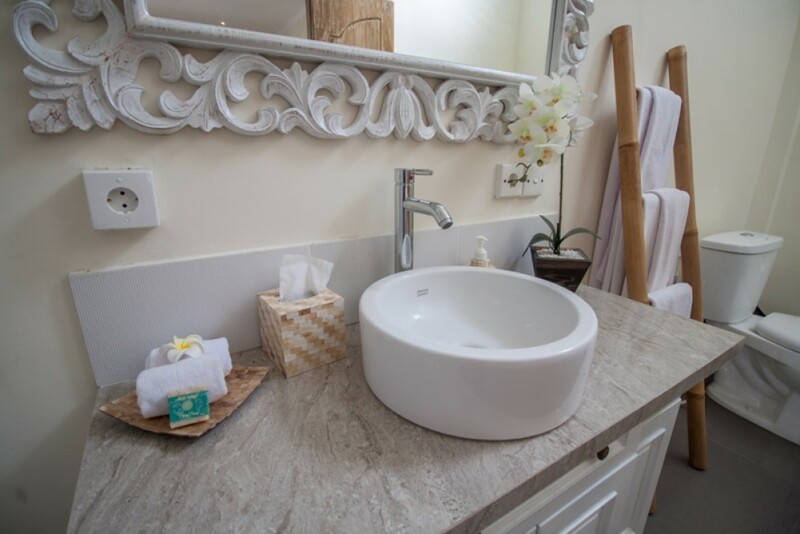 This makes the villa perfect for large families, families with in laws or older children and the option for revenue from the Lumbung - or office or guests accomodation. 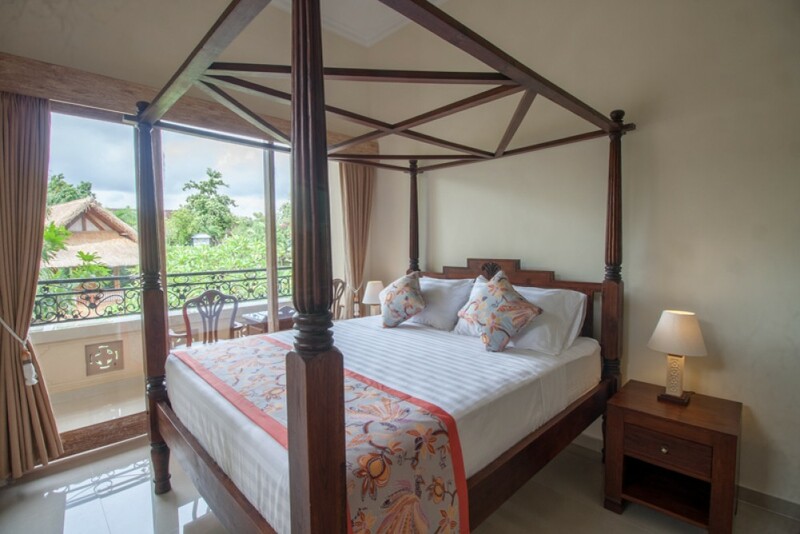 In total 5 king sized bedrooms, 7 bathroom/showers, two kitchens, laundry, three lounge rooms and 4 balcony's / terraces. 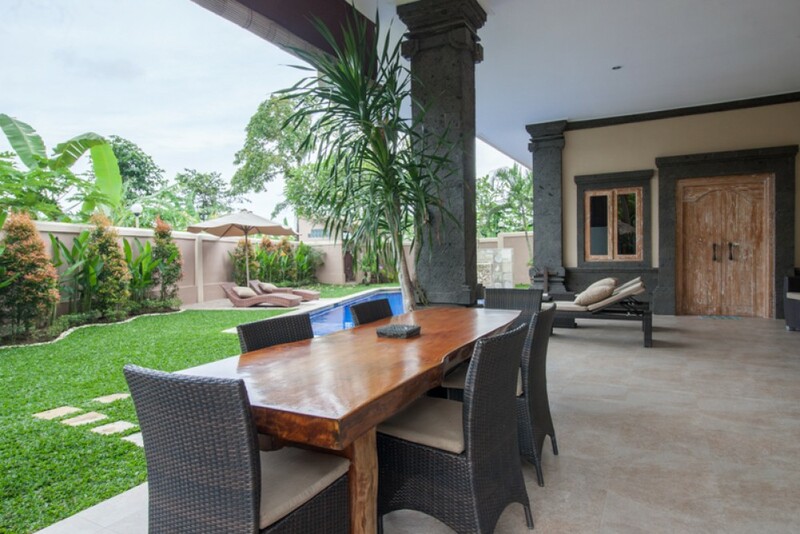 The villa is built on 12 solid large concrete supports/posts that go down over 1.5 metres below the surface and balloon out on concrete feet. 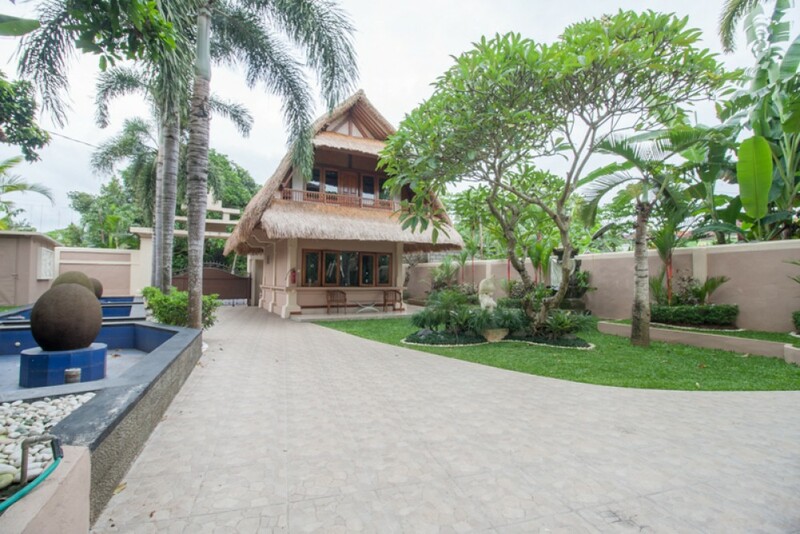 The foundation slab is very thick and the house is structurally one of the strongest in Bali. 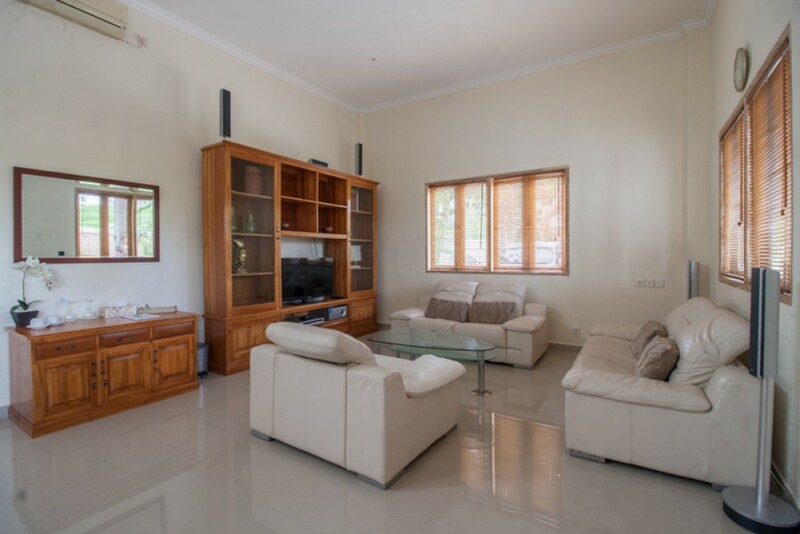 Are you looking for a great and spacious family villa for a reasonable price then look no more - book a showing!